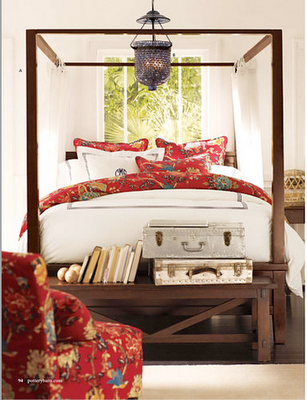 I was looking through the Pottery Barn catalog last night and saw a few things that screamed Cindy! So I thought, why not blog it! First thing. I know the picture is small, but can you see these darling clean lined framed alphabets? Could be a sweet and tidy element to add in with some of your other framed alphabets. 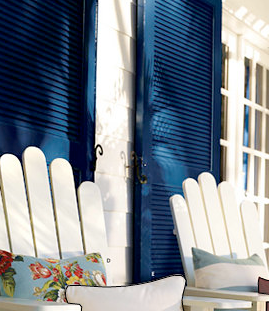 I LOVE this Royal Blue paint. This needs to find a place in both of our lives! Now that all the cats are banned from your room, I think you and dad need this bedding! The red duvet (with little blue birds on it) would be perfect. As would the crisp white duvet. So there it is. What do you think mom?